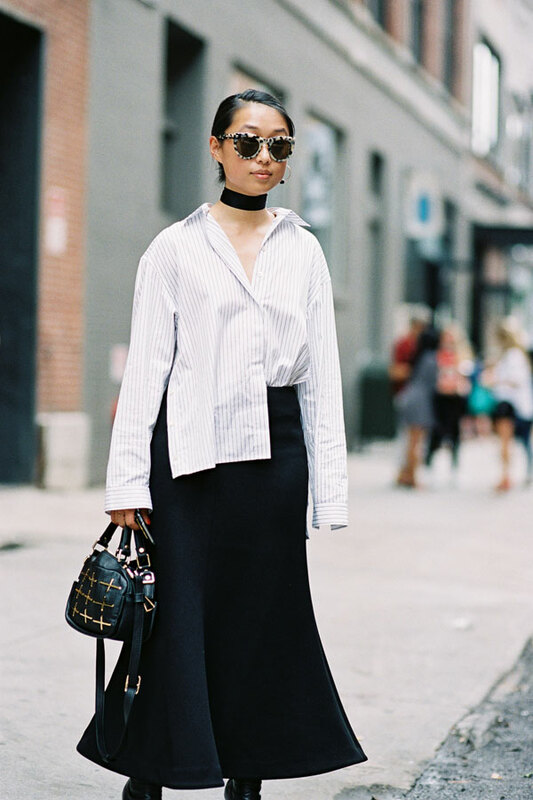 Margaret Zhang of Shine by Three blog, before A Show, NYC, September 2015. 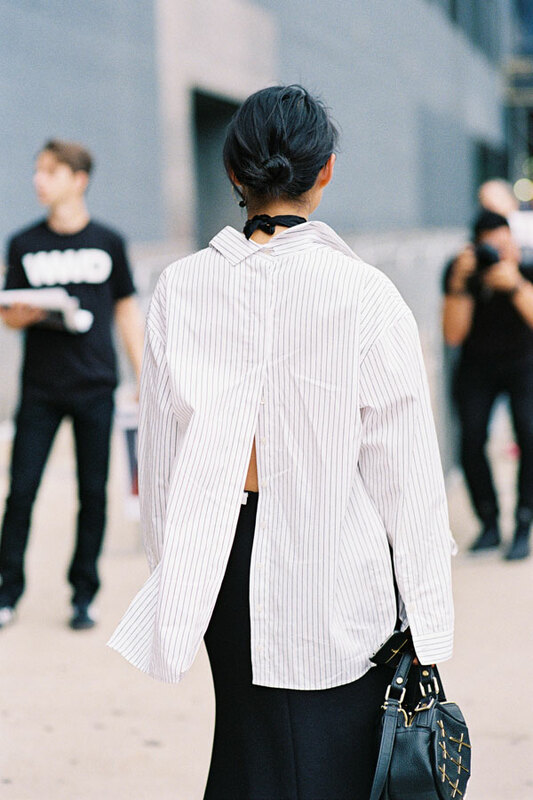 Another version (and another way to style) the backless button down shirt! Flare skirt: The Fifth Label Just for Now skirt, Tibi Esquire Fluted skirt, or Maiyet Flare skirt.